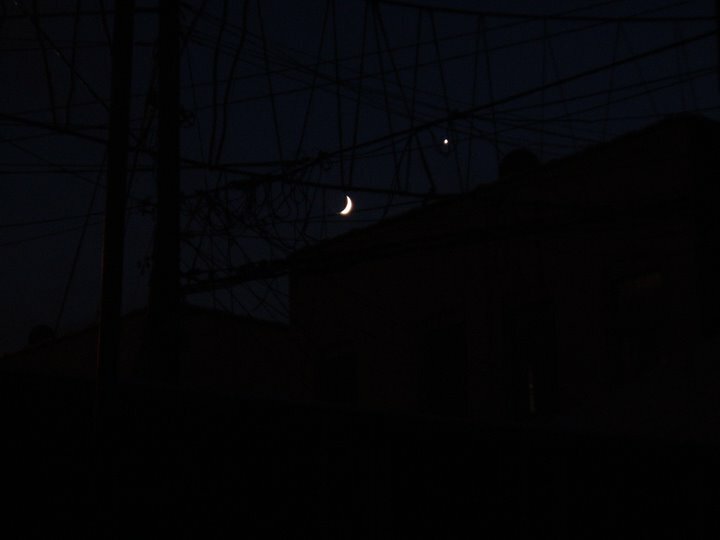 Here is the Moon, approaching Venus, this past Saturday night, as seen from Brooklyn. In Australia, Beche-la-mer caught the Moon and Venus at a midway point between these two photos: see this photo, where the moon has not yet reached Venus. 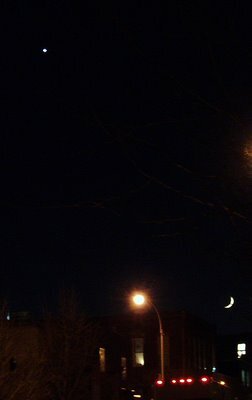 In photos from the Southern Hemisphere, as I love to talk about, the moon's orbit takes it to the right of the sky.